Mark your calendars for the 42nd annual Slavjane Folk Ensemble concert on Saturday May 12th. This year’s concert will be held at Our Lady of the Sacred Heart H.S. Auditorium, 1504 Woodcrest Avenue, Coraopolis, PA 15108 Concert begins at 2:00 pm. 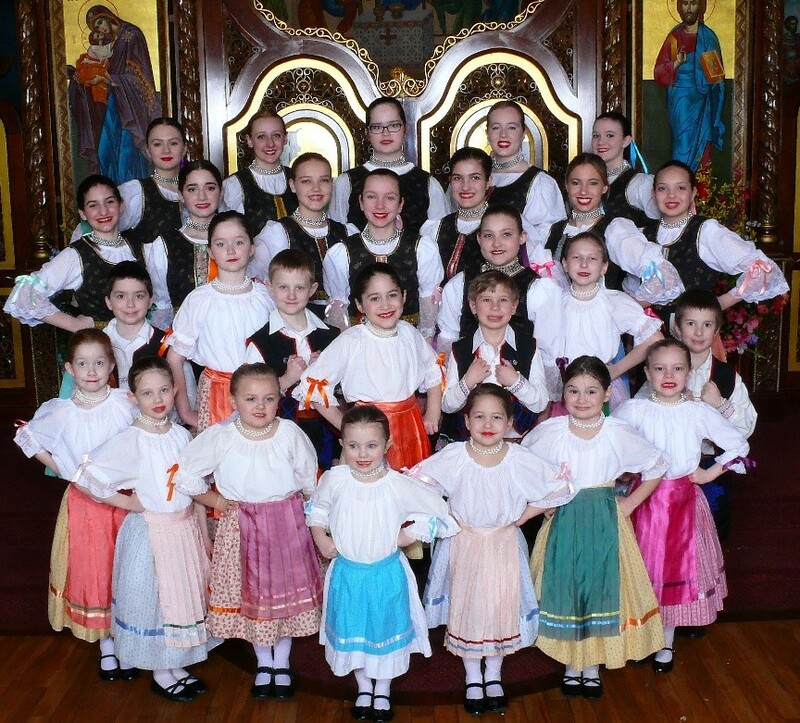 Slavjane consists of 29 students ranging from ages 4 to 18 from the Pittsburgh area. Featured on this year’s concert are songs, dances, and musical selections from Croatia, Dalmatia, and Carpatho-Rus’. Featured this year are Roma selections from Eastern Slovakia. Special guest performers are the Pittsburgh Area Slovak (PAS) Ensemble. Immediately after the concert, join us for the reception at Holy Trinity Social Hall, 5720 Steubenville Pike, McKees Rocks, PA 15136, where the dancing and singing continues.Delicious homemade ethnic food and pastries will be available for purchase along with a sprawling Rusyn (Chinese) Auction. Entertainment will be provided by the popular Orkestar Zabava. Tickets can be bought in advance and will also be available at the door. Concert tickets are $10, student tickets are $5. Reception only tickets are $5. Please contact Dean Poloka at 412-877-9351 to order your tickets or for further information. Slavjane looks forward to seeing you at their concert.